(Natural News) Taking probiotic supplements every day can support bone health, as it cut the risk of age-related bone loss by 50 percent, according to a new study. The study, published in the Journal of Internal Medicine, examined the effect of probiotic supplementation on the human skeleton. To conduct the study, the research team from the University of Gothenburg in Sweden recruited 90 elderly women, with the average age of 76. At the beginning of the trial, the team measured and recorded the bone mineral density at the spine, hip, and femoral neck of the participants. The team also aimed to verify whether good bacteria play a role in bone density improvements in humans, as shown in an earlier animal study. Then, they asked these women to take either the study product, which was a powder that contained the bacteria Lactobacillus reuteri 6475 combined with maltodextrin powder, or the placebo product containing the maltodextrin powder only. The products were taken twice a day for a year. After the treatment of one year, the research team measured the women’s bone loss in their lower legs through a CT scan and compared it with the measurements they initially had. Results revealed that the participants who received the probiotic supplement had lost only half as much bone in the skeleton in comparison with those who received the placebo product. In addition, the probiotic supplement was deemed safe and did not cause more side effects compared to those experienced by women who received the inactive powder supplements. Based on the findings of the study, the research team concluded that supplementing with probiotics can be used as a safe and effective way to prevent the development of osteoporosis in many older people. 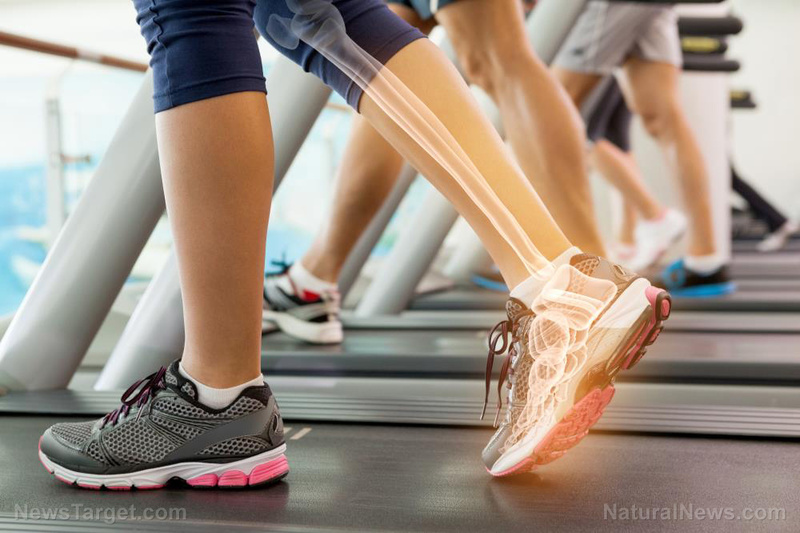 Worldwide, osteoporosis is estimated to affect 200 million women — approximately one-tenth of women aged 60, one-fifth of women aged 70, two-fifths of women aged 80, and two-thirds of women aged 90. Avoid drinking carbonated drinks: Carbonated drinks, such as soft drinks, champagne, and sparkling water leach calcium from the bones. These drinks also contain a lot of phosphates, which cause even more calcium loss. According to a Harvard study, half of the women participants aged 16 to 20 were already exhibiting bone loss because of excess soft drink consumption. Don’t eat too much protein: Excessive protein consumption causes acidity in the body, which results in calcium losses in the urine. Limit caffeine intake: For every cup of coffee you drink, you lose 150 milligrams (mg) of calcium in your urine. If you can’t help but drink caffeinated drinks, at least raise your calcium intake by 150 mg for every cup you consume. Read more news stories and studies on preventing bone loss in older people by going to Longevity.news.